PRICE IMPROVEMENT........What could be better than having your own piece of Paradise to come home to? From the lovely Southern covered front porch to the private 1/2 ACRE cul-de-sac Lot, with a Private babbling brook, this 4 year old home HAS IT ALL! 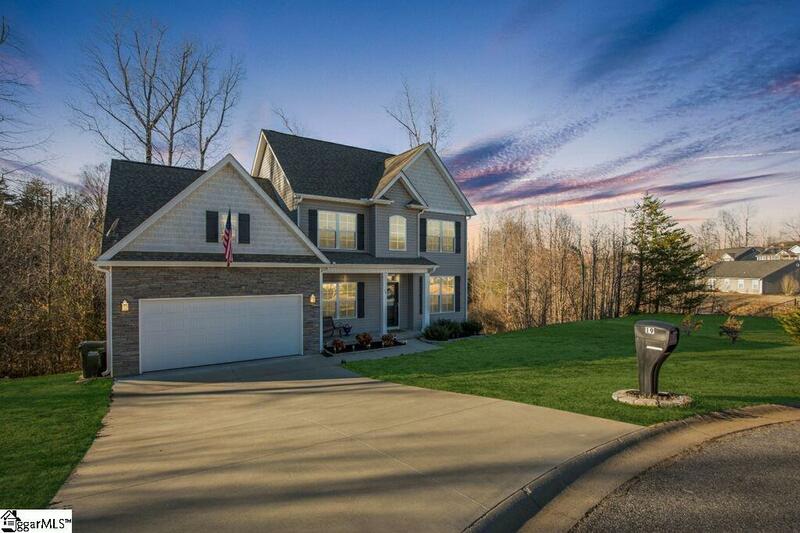 "Your Direction Home points to 19 Pondsbury Court with 4 Bedrooms, 3 Full Baths, Bonus room & 1100 sq. ft. Unfinished Walkout Basement. YES, additional expansion and unlimited storage, the FULL unfinished walk-out Basement has possibilities that are truly endless This Immaculate ONE owner property, situated in this highly sought after Taylors area is available and waiting for you! This home has been meticulously maintained and is move-in ready and every detail in this home has been carefully selected and quality crafted The stunning formal Dining room, Kitchen and Great room are centrally located and seamlessly flow between each other, which allows for easy entertaining. 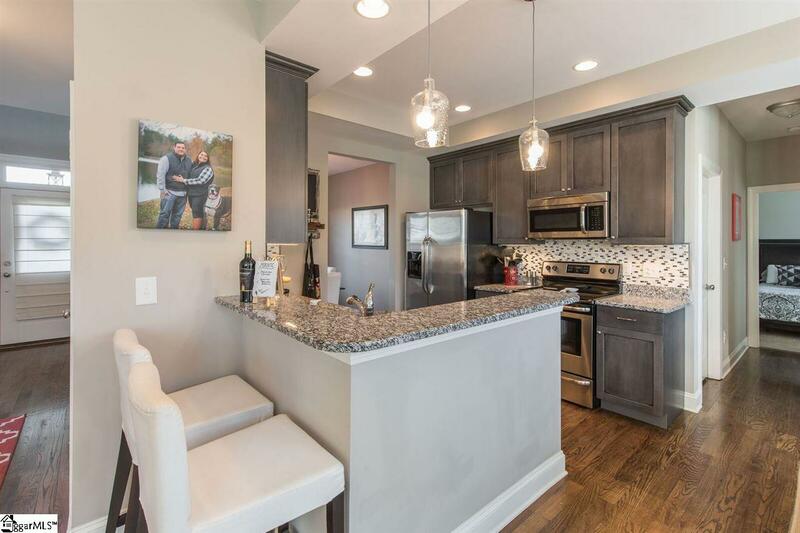 Imagine being able to prepare meals in your Dream Kitchen featuring granite countertops, tile backsplash, high end custom cabinets, upgraded lighting, and appliances! The Kitchen & Breakfast area with pantry also provide easy access to the large deck with patio below at walk-out basement. Off the kitchen is an In Law Suite with a FULL Guest Bath perfect for visiting relatives or friends. You will enjoy spending evenings in the wonderful Great room with a stone fireplace as the focal point. Also on the 1st floor is the oversized walk-in Laundry room with ample storage space, tile floor and easy access to the 2 car garage. 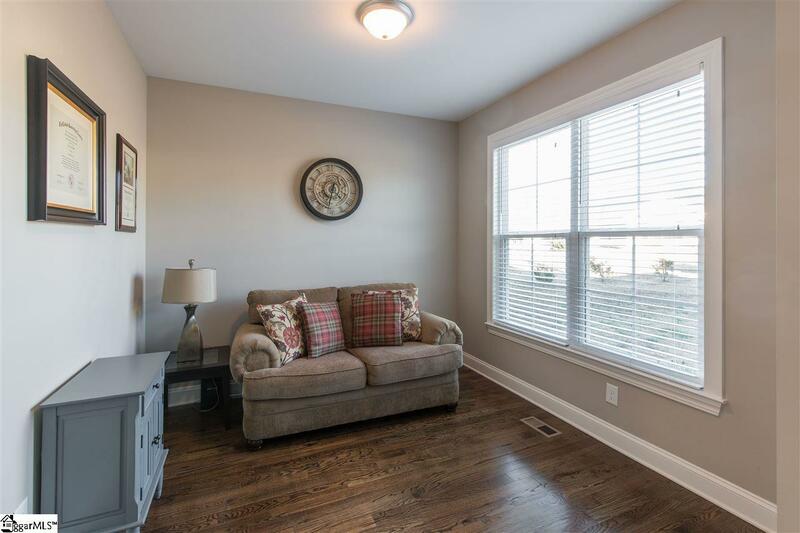 On the 2nd floor you will find a wonderful Master Suite featuring an enormous walk-in closet and a Master Bath that is straight out of Better Homes and Gardens. There are also 2 generous size Bedrooms and Full Bath for your guests. In addition there is a fabulous finished Bonus room just perfect for watching your favorite game. Just imagine after a long day at the office coming home to that rocking chair front porch or spending Quiet evenings out on your private deck enjoying the solitude of nature that surrounds you. 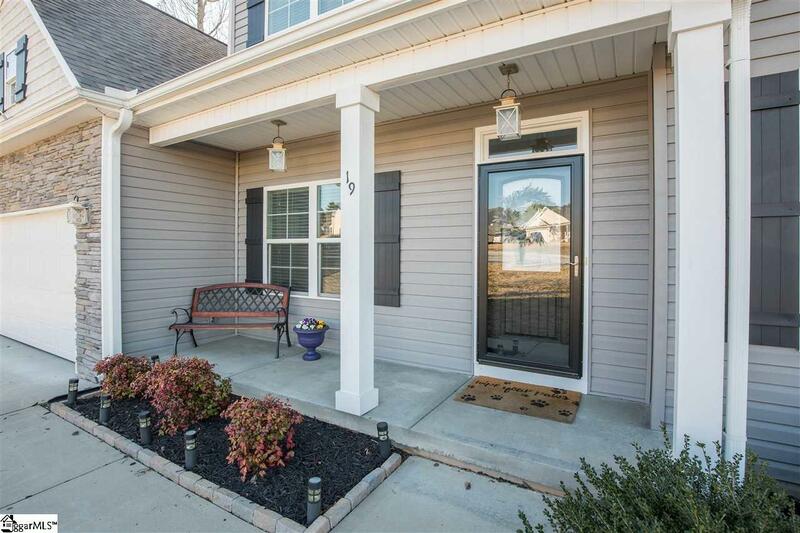 Do not look any further than this meticulous ONE owner home in a wonderful neighborhood, 10 minutes from downtown Greenville, with award winning schools and is Move in Ready! YES, 19 Pondsbury Court is "Your Direction Home. Call me today for your private viewing! Listing provided courtesy of Karen North of Bhhs C Dan Joyner - N. Pleas.